With the 2014 World Cup well underway, newsjacking has seen a surge in popularity. 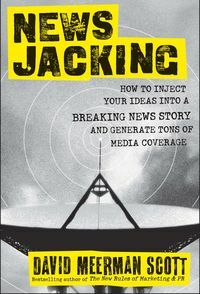 But what does good newsjacking entail, how can you position yourself to react -- and what happens when things go wrong? ScribbleLive hosted a chat to tackle those topics and more. We were joined by a panel of experts who revealed what works, what doesn't and how you can use newsjacking to meet your goals. 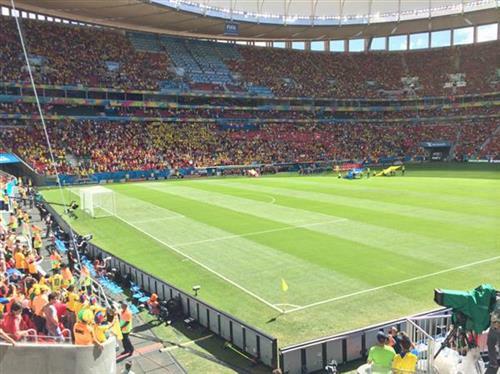 With the 2014 World Cup well underway, newsjacking has seen a surge in popularity. But what does good newsjacking entail, how can you position yourself to react -- and what happens when things go wrong? ScribbleLive hosted a chat to tackle those topics. We were joined by Rachel Hahn, a reporter who has written a guide to newsjacking; Doug Haslam, a Media and Communications expert; Steven Shattuck, VP of Marketing at Bloomerang; and Tara Urso, Social Media and Marketing Strategist at insight180. They told us what works, what doesn't, how and when to react and how you can use newsjacking to meet your goals. Feel free to check mention.net to monitor who's talking about you on the internet. Hello everyone, we'll be kicking off the chat momentarily -- in the meantime, please take the time to fill out the form on the top right to get more information on upcoming chats. Hello everyone, thanks very much for joining us. 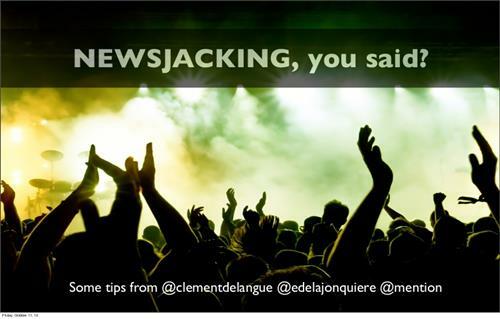 We'll go ahead and get started with the first question: What is newsjacking? How is it different than real-time marketing? Hi everyone, thanks for having me for this chat. To me, newsjacking is about actually injecting your brand into the news, so in a sense it's a step beyond just real-time marketing or quick response marketing. One thing I like to point out: It is NOT NEW: PR standard practice has always been to consider responses to news events. A great example is cyber-security companies, who monitor the latest threats - if they aren’t breaking the story themselves - and putting themselves up as the solution. By responding to an event you become a part of it. If you do it right. Totally agree with Rachel and Doug. I try to think of it this way: all newsjacking is RTM, not all RTM is newsjacking. 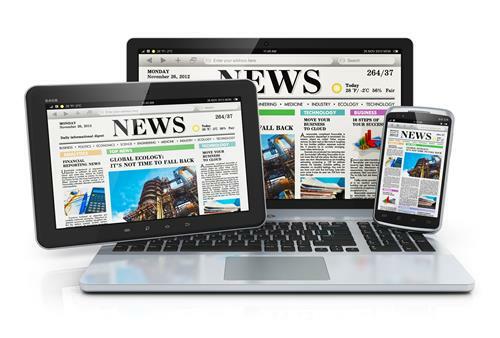 The key with newsjacking is becoming a part of the news itself. Google bots help with this when it come to searching. 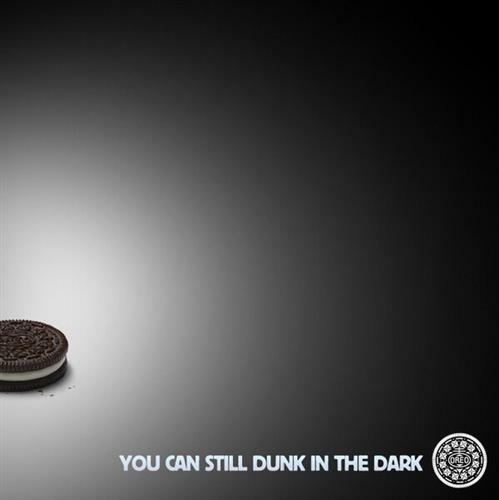 I think newsjacking is a great way for brands to entertain and engage their audience by enhancing the moment at hand. So if this isn't new, is it simply a new term applied to an existing strategy or has the approach evolved as well? PR has always had calendars of expected events, and good PR has always reacted to relevant news. I think what is new about this approach is the way search engines farm resources. Both, for sure. It's like content marketing. Brands have been doing content marketing since the late 1800s. It's the delivery mechanism that have changed. By being out of the gate quickly on an event, a brand becomes a resource for journalists and curious people alike when searching for info on the topic. HypertextSocial media breathes new life into a classic industry concept - inspired by David Meerman Scott's new book, NewsJacking. So what makes a successful newsjack? What examples come to mind when thinking of a successful newsjack? I think it's successful when it’s relevant to the brand/voice, when it’s thoughtful, engaging and serendipitous (not contrived or put through a lot of planning). Successful? 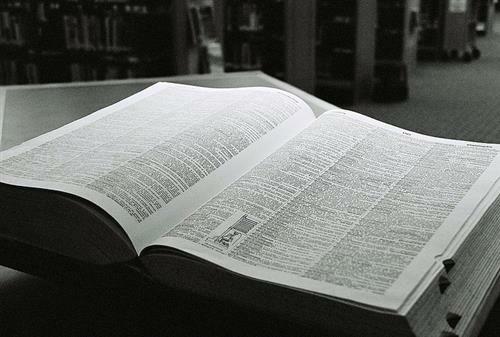 The most important traits to me are context and relevance- related concepts. Google has it easy, because everything is relevant. I'm loving the World Cup Doodles they are doing. See more doodles at google.com/doodles! Oh - I had never thought of the Google Doodle as newsjacking, but I think it's a good example. Like yesterday, for example, gay marriage was legalized in Indiana. 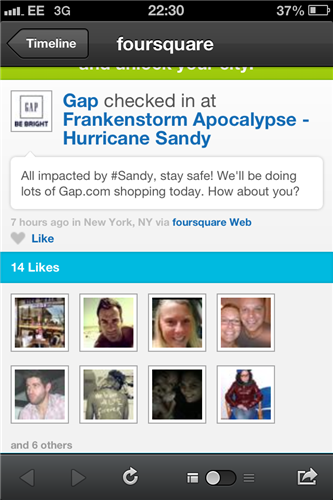 A lot of brands jumped on it - those involved in arts, humanities, some nonprofits, advocacy groups, etc. - because it was on-brand for them. Some for-profit businesses tied it back to recruiting. It's all about relevancy. No one said "hey, gay marriage is now legal, come on in and check out our shoe sale to celebrate." And if they did, they'd probably get some eye-rolls. Agreed on brand voice. 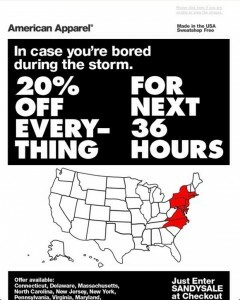 Great advantage for brands who have established playful and snarky. 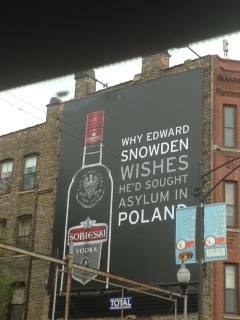 I think this example works for the vodka brand, but others might best stay away.